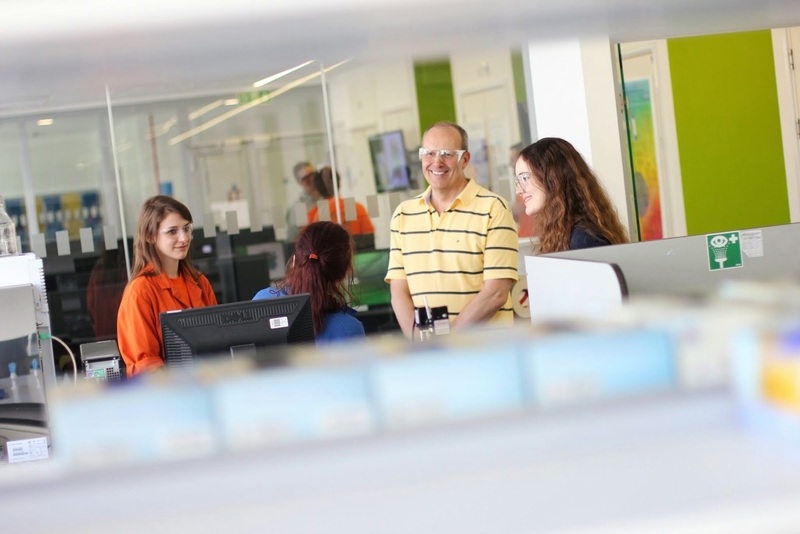 There are a number of opportunities throughout the year for you to visit the Department of Chemistry and gain first-hand experience of its facilities and staff, as well as learn more about campus life. Our next Open Days will take place in June 2019 - you can register your interest here. What can I do during the Open Day in the Chemistry Department? See a presentation from a Warwick academic and UG student providing a brief general overview of the Department and what you can expect if you decide to study Chemistry at Warwick. Have an informal chat with our UG students and academics. Take part in a tour around the Department. The guides are academics who teach and do research in the Chemistry Department. Have fun with several experimental demos highlighting different fields of chemistry. A number of experiments are running in the UG labs so that you can see some of our teaching spaces in action. After all the excitement have a pause with a drink and a snack and some more friendly people to talk to. All UCAS offer holders will be invited to attend one of our Admissions Days which provide a more tailored, in-depth experience of life at Warwick Chemistry for those who have already applied. You will be given a tour of the Department and University Campus, including Halls of Residence, and have the opportunity to chat to some of our current undergraduates. Our academic staff will also be on hand to answer any questions you may have about our courses, the university, etc. Warwick Talk and Tour offers an alternative opportunity for you to visit our campus if you are unable to attend on an Open Day. These are predominantly designed for students who have not yet applied to an Undergraduate course at the University although anyone is welcome to attend. Parents and supporters are always welcome to come along as well, and each visit lasts approximately 2 hours. Please click here for more information.